…well, not really the dead. But it does seem appropriate for this time of year, no? This year has been crazy. I got so caught up with work that I have not done anything that has to do with knitting. Seriously. And I seriously miss it! It's fall!! Sweater weather!! And I don't have one new sweater to show for it. I need to get on that. So, work got nuts. I started having to travel. Every other week. It really was a strain to get Yoda together to go on her little trips (to my parents or boyfriend's – oh! 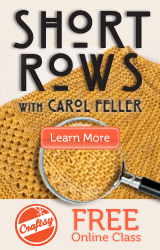 That's news, too), let alone actually pull out yarn and knit something. You know what? I take that back…I did knit one day on the brown thing I was working on. I have one sleeve left to go, so I thought I should start it back up. I didn't get very far. All my friends had babies. Pretty much all in the same week. Seriously. So, anyway, the highlights are the boy and traveling for fun. Happily, these two go hand in hand. I actually just got back from Hawaii with him and a few friends. Awesome time!! Well, I promise to be back soon…with knitting content!!! Glad to see you are back! Congrats on the boyfriend – ugh on the work stuff!